Just like our survey for game communities back in May, we once more sent out a survey to a mix of customers and self-supported Discourse communities. 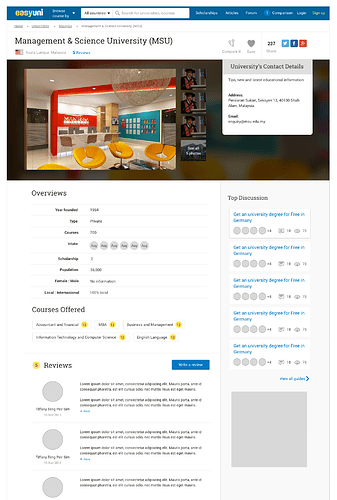 This time we wanted feedback from leaders in online education. We’re absolutely ecstatic about the amount of learning tools readily available online for young and old minds alike today. Even more so because so many of these sites have chosen to use Discourse to build their communities, in which educators and learners can work effectively together to improve their common platform. Nine communities got back to us and completed our survey. Here’s what they said. How does your company use Discourse? CodeCombat uses Discourse as a general forum for its players to talk about programming concepts, help each other debug difficult levels, and share game strategies. We also get a lot of bug reports there, which is great for players who wouldn’t have emailed us or gone to GitHub to file an issue. As an open source project, we have promoted some amazing forum moderators from amongst our players, and they help the community learn to help itself when the core team can’t handle the onslaught. For a project with a wide mix of young kids and older players, it’s surprising how well it works. Discourse and GitHub are the two most important pieces of the CodeCombat community. What are your favorite things about Discourse? Powerful email support. Email summaries; granular email notifications; create or reply to posts by email. Badges encourage positive behaviour, flags discourage negative behaviour, JIT notifications (similar reply detection, duplicate link detection etc.) and reply-as-new-topic encourage on-topic discussion. Out-of-the-box settings provide strong defaults that require very little tweaking. What are some things that would make Discourse better? This was the only improvement suggestion that came up several times. Our recommendation would be to switch to the “code-fences” code formatting style, which we added specifically for developer-centric communities. This has been a TODO of ours for a while! Consider it bumped in priority. We generally recommend against embedding, as this is a tricky thing to get right across multiple platforms and screen sizes. Try using the API instead to make lightweight streams for your content. Even plain RSS could do the trick. We’re adding new docs at a steady rate. There were 7 new additions to our #howto category this past month. If there’s any topic in particular that you’d like to see a proper tutorial on, feel free to make a #support request for it. The user profile doesn’t stand up enough and the basic settings are hidden in the “preferences” tab, which can be confusing. Agreed! See this UX discussion. The “similar topic” suggestions are not always relevant. Tough nut to crack. First order of business will be to make it less in the way in case it’s not helpful. We have that! The Solved plugin is available on all our plans and can be installed for free by self-hosters. We don’t have plans to automatically retrieve avatars from Twitter, Facebook, G+, GitHub etc at this time. However, we’d gladly accept a pull request for this! We really need another level of hierarchy in the the categories structure. In our experience, a deep category hierarchy cause more problems than it solves. However, Tags were recently merged into core and received a lot of new features, including category restrictions, tag groups, and tag relationships. Once more, our UI finds itself on both the pros and cons list (although the praise clearly outweighed the critique this time). The best we can do is continue to make Discourse more customisable so community owners can tweak it to their liking. See next bullet point. The ability customize all CSS easier, like being able to upload custom stylesheet. Being able to adjust html layout by having access to page templates. Yes! We are figuring out a way to support Native Themes in Discourse. Please join the conversation and share your ideal theme designer experience with us. 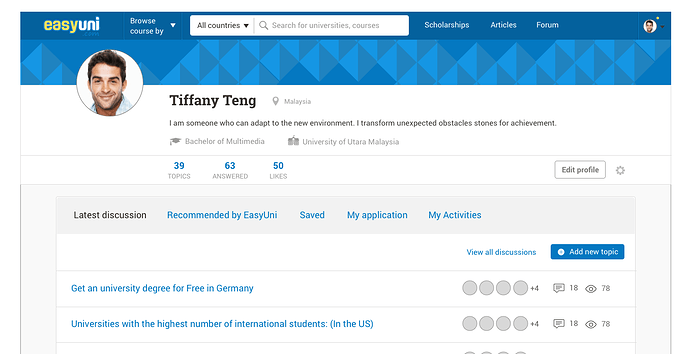 We’re self-hosting too - forum.easyuni.com - a site in Asia for students to search, compare and “apply” to universities locally or abroad. For the past several months we’ve been working on integrating Discourse more closely with our site (and a new version of the site). Every college published on the site would get it’s own category in Discourse. 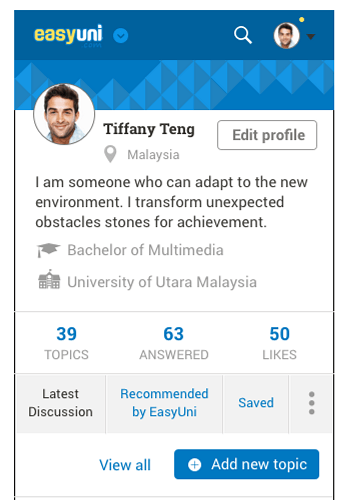 Then, on a college profile page we display the latest topics from its category in Discourse.